Today, I’m going over the tentative bus layout. I say tentative because I know things will probably change as I work my way through the project and have epiphanies about tiny living or how I want this bus to function for me. During non-traveling times, I plan to use this space as an office for KPD, so plenty of desk space and organizational elements will be needed. 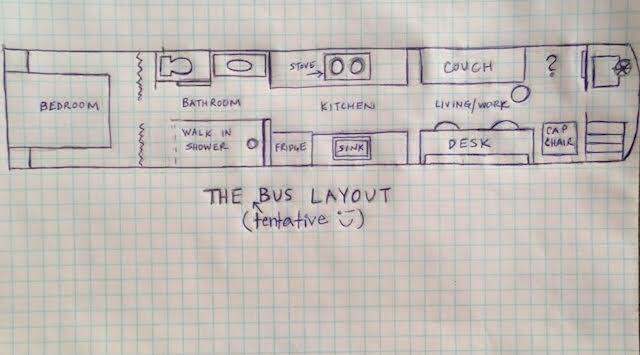 So, here is the plan thus far…..
As you can see, I’ve placed the bedroom in the back of the bus for privacy purposes. And the bathroom comes right after that. I’ve mapped out a rather large footprint for an RV bathroom, but this is my project and I’ve got personal priorities- a great shower being one of them. 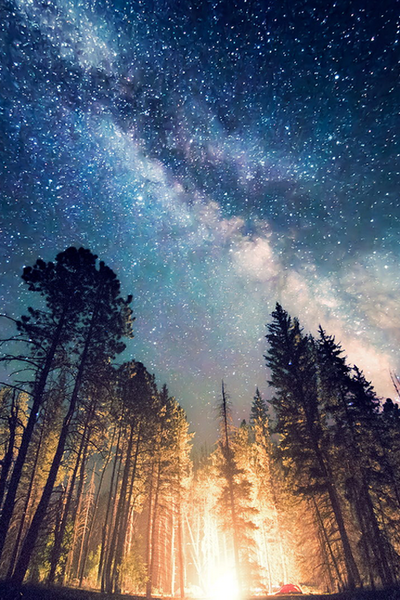 I also plan to put a sky light in the bath area and I am super excited about showering under the stars!! Imagine it with me……..
Next comes the kitchen area. I felt that splitting it on to the two walls rather than just keeping it on one was an efficient use of space, and for some reason I just prefer it over a longer kitchen kept on one wall. going to do it my way…with a method I think will work better to keep motivated and moving. I’m starting in the back and working my way forward. So, I’ll start with the bedroom and work my way forward. I think seeing parts be completed will keep my spirits high and allow me to finish much faster. So, there you have it! The only plans that super solid right now is the bedroom, so if you guys have any brilliant ideas about the rest of the space, I love to entertain them! Thanks to Tonya for suggesting to search the hashtags- #skoolie #busnik #skoolielife #busconversion….There are so many cool ideas out there!